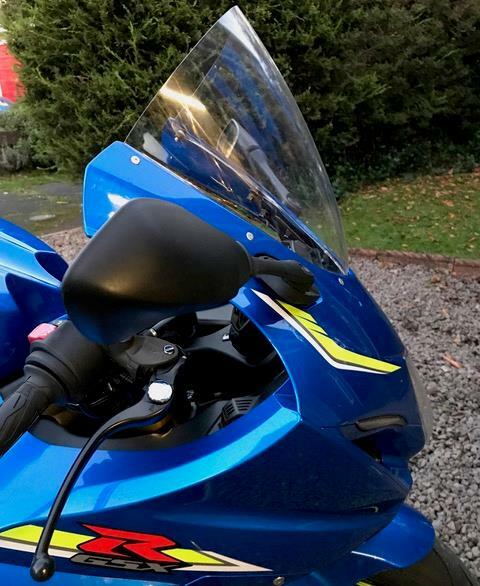 ﻿ MCN Fleet: What's Suzuki's GSX-R1000R like on tour? My GSX-R1000R is an unashamed track bike, but despite its appetite for tarmac-demolishing speed and full-lean lunacy, most superbikes like this are ridden on the road, with the odd of cross-continental tour thrown-in for good measure. So what’s it like on the long haul? 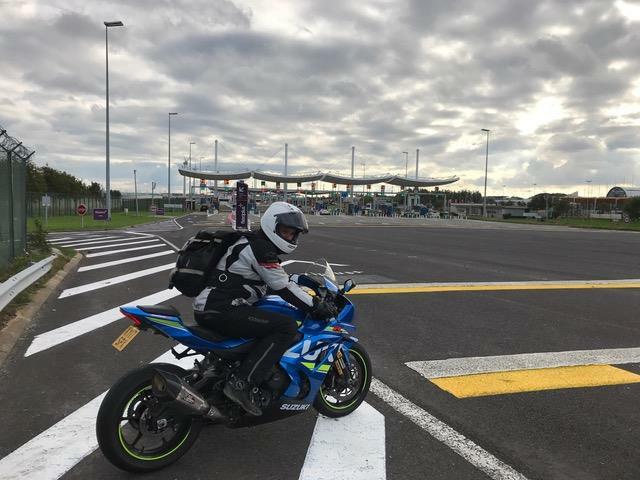 To find out, I rode to see the most spectacular supermoto street race in the world. 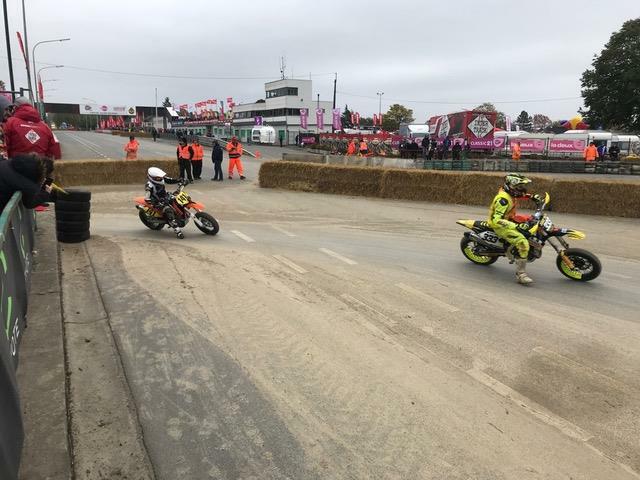 The annual Superbiker at Mettet is a celebration of barely-believable backing-it-in and sliding-it-out, by current supermoto racers, as well as legends including the Chambon brothers, Eddie Seel and Ruben Xaus. Stunt shows, double back-flipping freestylers, ear-piecing tannoy music, beer, chips and mayonnaise are also in attendance. 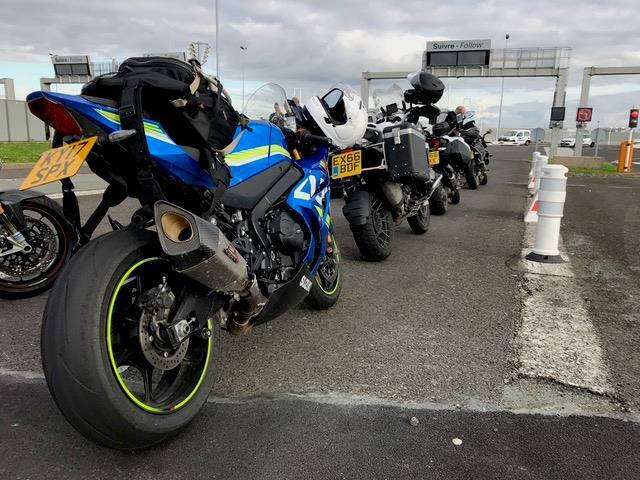 My 720-mile round trip was altogether more sedate and the only real bend I encountered along the way was the slip road leading to the Channel Tunnel from the motorway in Calais, but I still loved every minute. It has a bum-friendly seat and bars you don’t feel like you’re doing a handstand on, but pegs are a little high for taller riders like me and if the Suzuki had the legroom of an R1 or Panigale, or even the adjustable pegs of the current GSX-R600/750 I’d have happier knees. That said, it’s still more spacious than a ZX-10R, Blade and S1000RR. The standard screen offers decent wind protection, but for this trip I fitted a tall, TT-style screen from Skidmarx (www.skidmarx.co.uk £64.95). It may not be super-sleek to look at but it makes a huge difference at sustained high speeds, eradicating neck and shoulder ache after hours in the saddle. With its frugal engine and ‘miles-to-go’ fuel countdown display you can easily go 160-plus miles between fuel stops and there are lots of other nice touches to make your time in the saddle that more enjoyable, including a ‘self starter’, decent mirrors and LED lights that flood the road with daylight. There are fewer buzzy vibes from the motor, compered to the old model, so bars don’t send your hands to sleep. 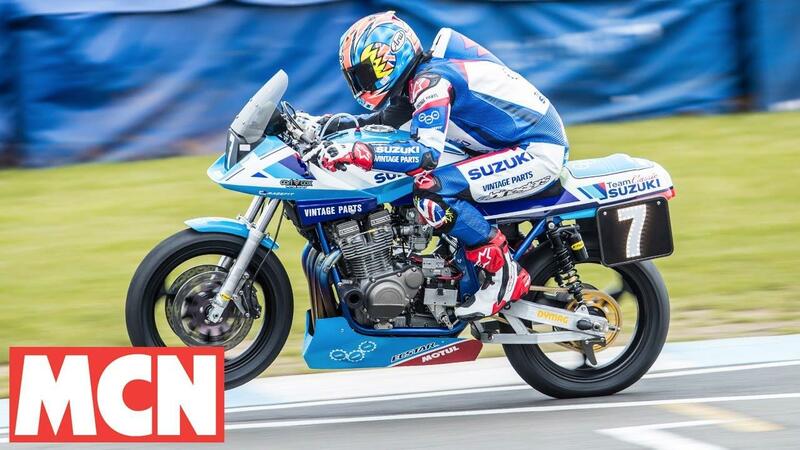 My GSX-R1000R was such a pleasure to ride long distance in a weekend I’ve decided to load it up with luggage and take it to Aragon this week, where I'm racing Team Classic Suzuki’s Katana with team mates Pete Boast and Guy Martin. Watch this space.